Are you wasting money heating your home without properly weatherizing it? Weatherization helps you save money by helping you save energy on both heating and cooling, making it good for both your wallet and the environment! Home weatherization includes air sealing, improving ventilation, and adding insulation. 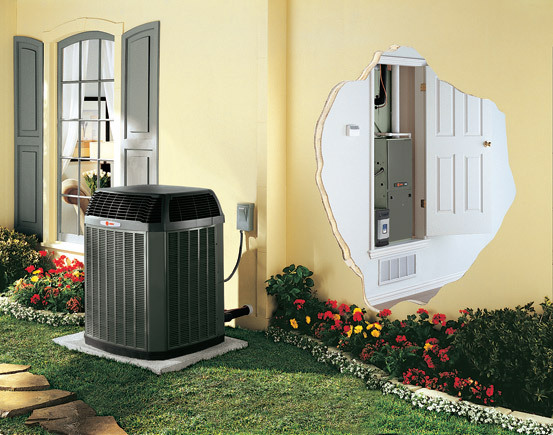 Preventing outside air from leaking into and indoor air from leaking out of your home is an important, cost-effective way of lowering heating and cooling costs. After all, you don’t want the nice warm air you just spent precious dollars and cents to heat to the perfectly cozy temperature to leak out into the cold night air! And you especially don’t want that heated air to be replaced by cold outdoor air leaking into your home. Air sealing your home by caulking cracks and around door and window frames and weatherstripping doors can help reduce air leakage. Of course, sealing all the air inside your home may not be the healthiest thing to do. Ventilation prevents pollutants and toxic contaminants from being sealed inside your home and helps maintain indoor air quality. Natural ventilation, spot ventilation, and whole-house ventilation are the main strategies you can use to achieve this. Natural ventilation is usually the least useful strategy, due to its unpredictable and uncontrollable nature. A properly air sealed home will not be able to achieve sufficient air quality relying on natural ventilation alone because the usual cracks and holes it depends on will have been sealed to prevent the unpredictable and uncontrollable temperature changes that result from natural ventilation. Spot ventilation helps make other forms of home ventilation more effective by removing air pollution and moisture at the source. Think of kitchen range hoods and bathroom exhaust fans. Spot ventilation is recommended for proper home ventilation and good air quality, but will not suffice as the only means of ventilating your home. The most robust form of ventilation is whole-house ventilation. Whole-house ventilation systems use fans and duct systems to remove stale air from and bring fresh air into your home. This provides controlled ventilation throughout the house, with no unpredictable cold or hot air entering your home and raising your heating or cooling costs. 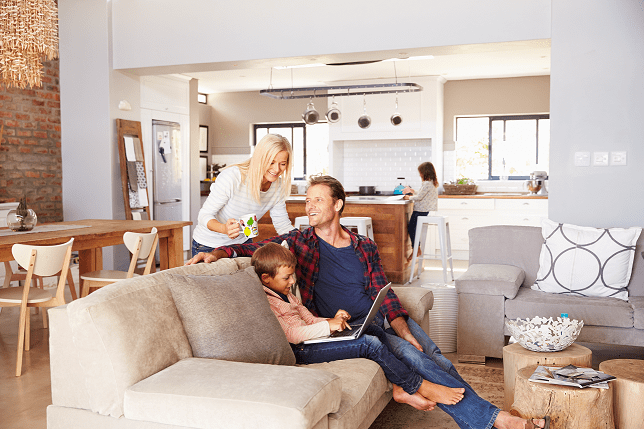 Some whole-house ventilation systems can even help further reduce heating and cooling costs through changing the temperature of the air coming into the house by transferring heat to or from the air leaving the house. Properly insulating your home reduces heating and cooling costs and increases home comfort by reducing heat flow. Left unimpeded, heat flows from warmer areas to cooler areas. Insulation helps limit the transferring of heat into or out of your home, thus reducing the amount of energy required to maintain your desired interior temperature. A professional contractor can help you determine what type of insulation you need and where you need it, as well as help install it. 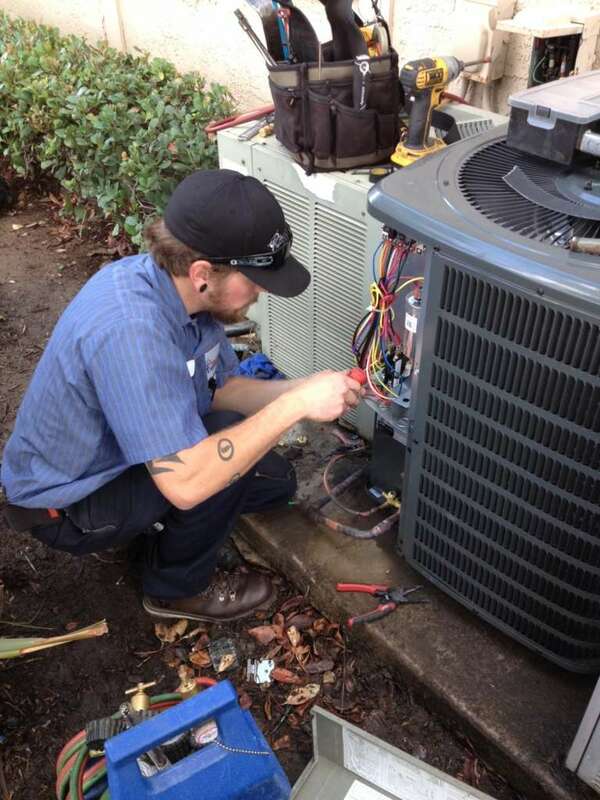 If your heating and cooling energy costs are still sky-rocketing after weatherizing your home, you may need a more efficient heating, ventilation, and air conditioning (HVAC) system. Precision Temperature, your local San Diego HVAC professionals, can help you find the right system for both your comfort and your wallet. Give us a call today at 619-588-5321.